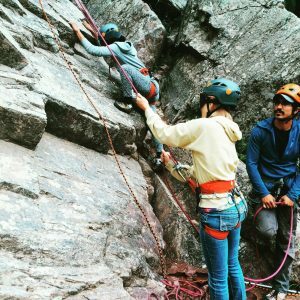 Experience the thrill of climbing in Clear Creek Canyon or fun indoor climbing walls. Volunteers will teach participants the basic skills of rock climbing and assist staff members with safety procedures as well as equipment. Experience with rock climbing is recommended, but not required. We will teach you what we need you to do! Volunteers will assist with set-up and breakdown of all activities. Don’t forget to bring food and water for yourself.